Welcome to the "It takes an Island" fundraiser Page! Click the Buy Tickets button to purchase tickets prior to the event. Tickets purchased online must be picked up at the door the day of the event. Tickets will not be mailed. 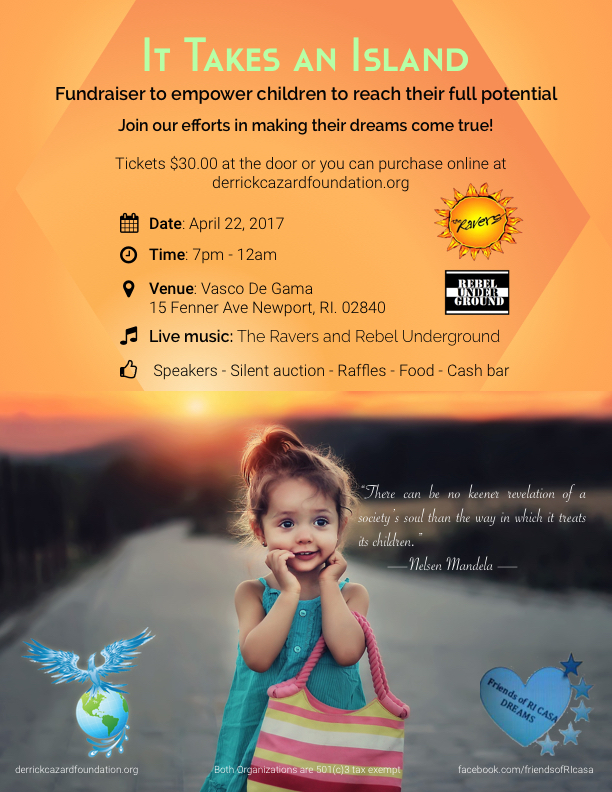 On April 22nd come join us and CASA Friends RI at Vasco De Gama (15 Fenner Ave. Newport, RI) to assist in our cause supporting the chilren of Rhode Island. The Ravers and Rebel Underground will be featured for live music! There will be food, raffles, a silent auction, and speakers!